I am obsessed. I could eat a burrito everyday if I wanted to! I find them to be quiet expensive if I buy them so I’m just going to show you how to make them instead with healthy, fresh and tasty ingredients you might have in your kitchen. Rice: boil half a cup of rice and once it’s cooled down mix with barbecue sauce. This is where the sauce will be mostly recognised and tasted. Add as much rice as you want to your burrito. 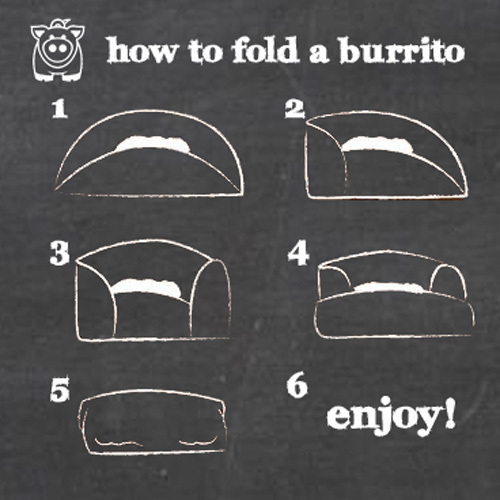 The great part of a burrito is that the ingredients used can be adjusted on your preference. If you want to add more chicken and lesser the rice portion, you can. White beans: I used white beans that were in salted water from a tin, as it was most convenient to me. If you’re using fresh beans, soak and then boil your beans on a hob adding salt when beans are nearly tender. Guacamole: Probably one of the most fun part of this recipe! Cut open and remove the seed of the avocados and start to make a paste. Add 2/3 chopped tomatoes, salt and pepper for taste, lime juice, 1 clove minced garlic. Now, due to a personal preference I did not use any onions to make this dish but if you want you can add 1 small finely chopped onion. Tortilla wraps: again for convince I bought my seeded wraps ready from the supermarket, however if you want to make them fresh then you absolutely can. What do you need? 400g self raising flour, 1/2 tsp salt, 300ml warm water, 3 tbsp extra virgin olive oil and a handful of seeds. Combine the flour and salt in a large bowl. In a measuring jug mix the (luke) warm water and oil together and add to the flour. On a floured surface, knead the dough for 2-3 minutes. Divide the dough into 8 balls and roll each one out individualy. Aim for each tortilla to be a similar size to a dinner plate, the dough will shrink back abit when it is resting. Once you’ve prepared everything separately, its time to start putting it together. Place your wrap on a flat surface over a rectangular piece of silver foil and lay all the ingredients on top of each other in a line (as in picture) keep it clean as it’ll be easier to wrap. Don’t forget to add your spinach that you didn’t need to do anything with (fresh it always the better option). You can also add any additional sauces if you like! My sister wanted hers to be more spicy so I added sweet chilly sauce. Feel free to experiment! 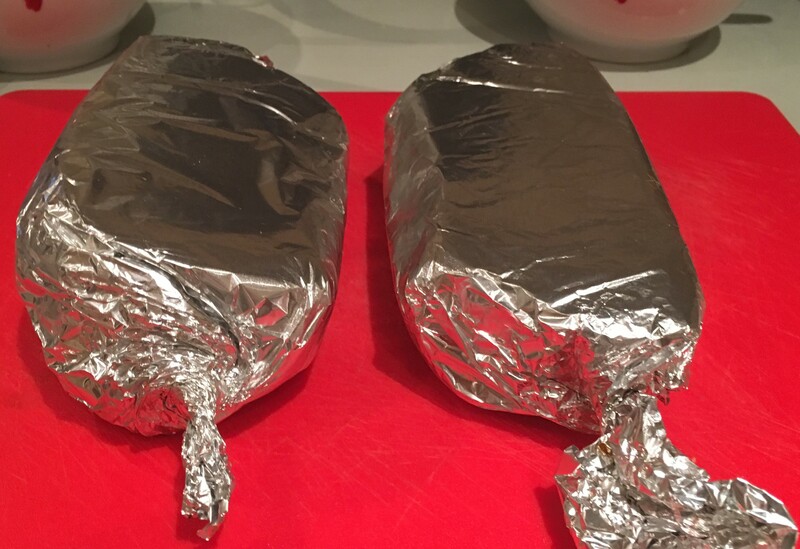 Then all you need to do is wrap the burrito and fold in silver foil ready to eat! Now here’s the tricky part!!! 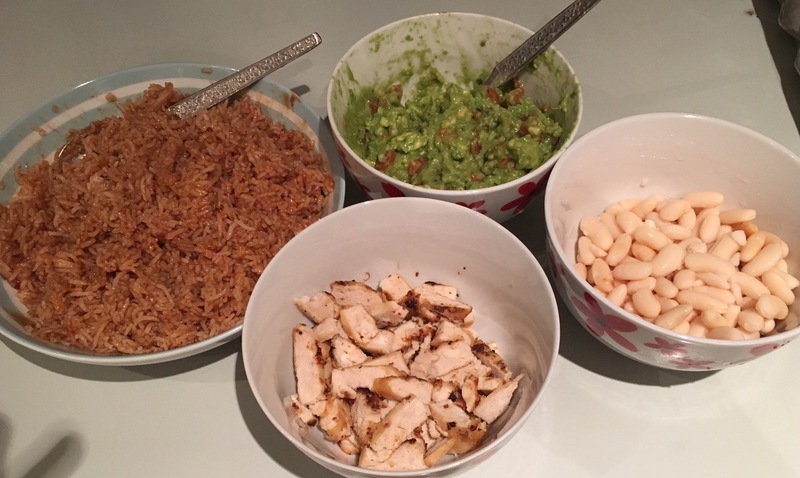 Posted on November 18, 2015 November 19, 2015 by xavierrodPosted in RecipesTagged barbecue, Burrito, chicken, food, guacamole, health, mexico, rice, spinach, streetfood, whitebeans. Thank you soo much rianna!!! You definitely should and let me know how it goes as well!!!! !